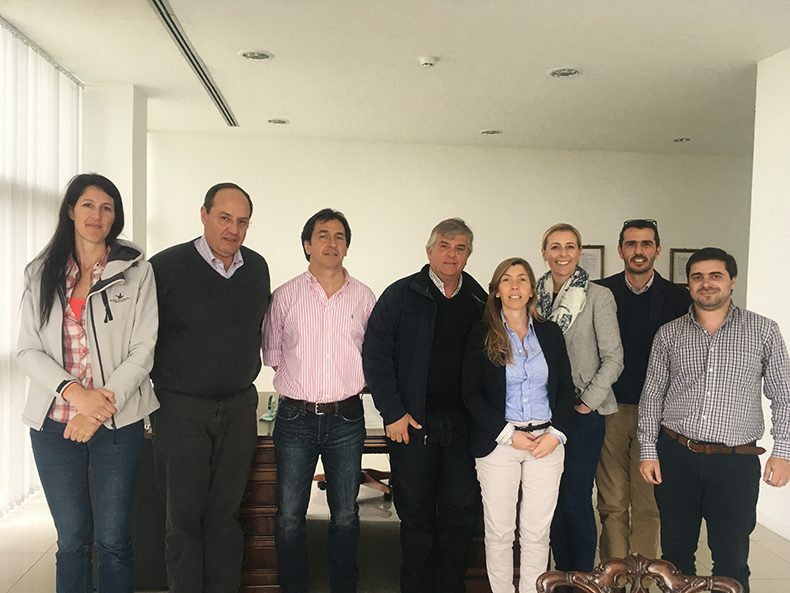 On last Wednesday, November 2nd, Breeders and Packers Uruguay was honored with Laura Ryan and Phil Hadley’s visit, Strategic Director and Head of Supply Chain Business Development at AHDB Beef and Lamb, respectively. Because of the World Meat Congress, both British executives arrived in Uruguay and, during their stay, they took the opportunity to meet our plant and the local production main characteristics. Agriculture and Horticulture Development Board (AHDB) is a levy board funded by farmers, growers and some other parts of the British supply chain, aimed at increasing the industry’s efficiency and productivity, improving the marketing strategies and the services offered to the market, and promoting sustainability. Regarding Beef and Lamb, it is focused on achieving these goals in the cattle and sheep field.